EIS is a specialized company based in Cairo working in information technology and it was established in 2008. EIS operates mainly in two lines of business, namely Software Development and Information Security Services. 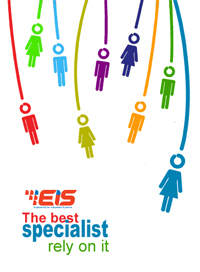 EIS provides solutions with the ideal mix of technologies to meet the unique requirements of our clients. So, EIS provides a vast range of technology solutions addressing both public and private sectors in addition to outsourcing services. Our mission is to provide highly standard information technology solutions with the ideal mix of technologies to our customers to support them in achieving high accuracy, high productivity, cost reduction, and more revenue. EIS aim to be the most trusted provider of information technology solutions in the market. With this vision, we are seeking to seize all business opportunities that can be managed by our experience.